Spring is here and do you know what that means? SUMMER is right around the corner! Yep...bathing suits, beaches, pools, shorts, tank tops... All of that! Well, I know sometimes it's easy to let winter go by and stay cuddled up because it's cold and a good excuse to allow the pounds to pack on! Not that it's something we set out to do...but it just happens!! If you're ready to get that winter layer off and feel confident for summer then NOW is your time to do that! Seriously, it's March...by the time the kids are out of school by June, you'll want to be ready to feel good and be active! That's a solid 2 months that you have to really be serious about getting back in shape! There is no time like the present to BATTLE THE BULGE!! There's nothing worse than not feeling confident in your skin when you're trying to have a great time with your kids at the pool! I've been there for sure! You know the times...you take off your coverup and still want to sit there "covered up"...yet at the same time try and keep convincing yourself that you feel great! Ladies...now is the time!! Starting on March 14th, we will begin our PREP WEEK for the Battle of the Bulge. This will be a 30 day accountability and support group. This is for people who are SERIOUS about getting their health and fitness back in shape! It's not for anyone who isn't COMMITTED!! Are you ready to take your health serious? I have spots open for only 5 more people in this group! Then, after that we will be filled and you'll need to wait till the next group! We'll discuss what fitness program is a good fit for you. My coaching is always free, but to be a part of this group, these are the requirements and the only cost is the cost of your Challenge Pack (savings pack of a fitness program and Shakeology). Ready to feel amazing this summer about YOU and the skin you're in? If so, fill out this application below for a spot in our Battle of the Bulge group! 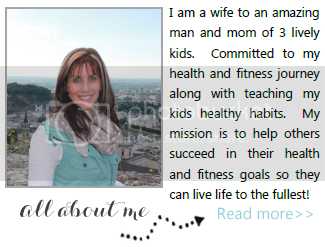 So excited to help you in your health journey!